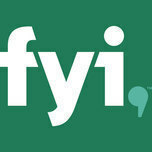 From time to time FYI has to make last minute changes to the schedule. We distribute notices of these changes as quickly as possible, however, due to the deadlines certain periodicals face, it is sometimes not possible to include our scheduling changes. Visit our Schedule Page for up-to-date scheduling information.